Hello my friends! I’m excited today to revisit my musings column. My intention is to write more this year- to touch on the things I’ve learned from struggles I’ve overcome or experiences I’ve had, things that I’m reminding myself of or just random thoughts that have been kicking around in the ol’ brain for awhile! Today’s Musings post is about the secrets we keep and how sharing them can set you free. We all have a history- we’ve all done things that we are ashamed of. We have things about ourselves that we’re embarrassed by, that we don’t share with ANYONE. And that feeling, that shame, it’s toxic. It’s the voice in your head that tells you you’re not good enough, pretty enough, smart enough. It’s the voice that keeps you from feeling like the best self that you already ARE. Whatever you’ve done, the very worst of it, is forgivable. Whatever those things are about yourself that you don’t share, that you feel ashamed of- those things don’t define you, they have nothing to do with your value or how lovable you are. You’re perfectly perfect and wonderful and exactly as you’re meant to be- just as you are. I love this. 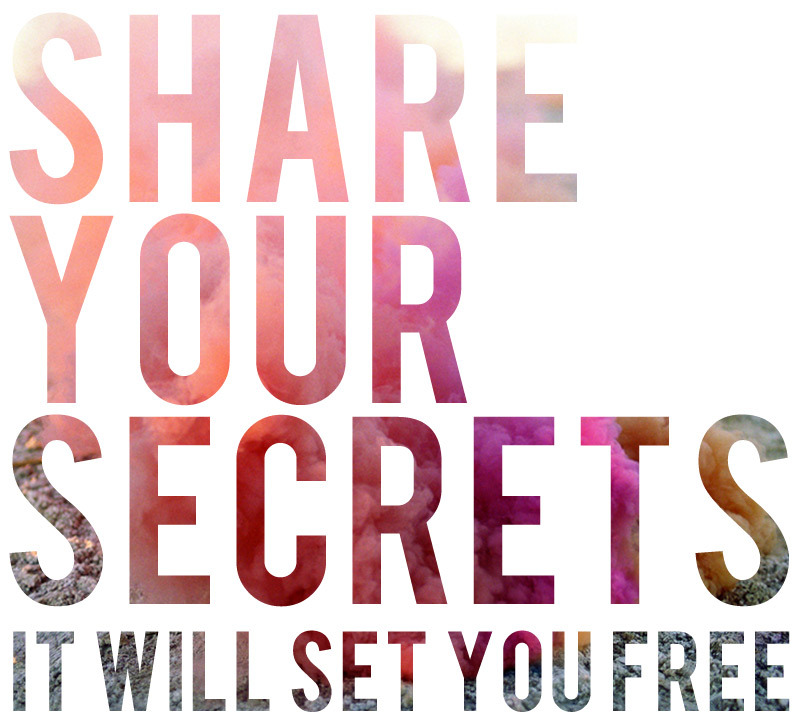 It’s true- revealing the deepest secrets you hold is the best thing you can do. Something I should definitely do! I’ve always been an extrovert, but at the same time tend to keep so much heavy stuff to myself. You’re right, it can be a huge burden but also scary to share all those things with someone else. Truth is, keeping all those secrets can make you ill. I got to work on that, definitely. Thank you so much for this. Besos! I was sitting in the theater watching Gone Girl, and started crying because I was recently engaged and still hadn’t had the courage to tell my fiance that I had been hospitalized while in college for a “nervous breakdown.” I drove home bawling and fell into his arms and told him everything. It was the most freeing night of my life.